MOSCOW (Sputnik) - Russia intends to discuss with Turkey the attack on Syria's Aleppo by militants who used shells filled with poisonous substances, Russian Defense Ministry spokesman Maj. Gen. Igor Konashenkov told reporters on Sunday. "The Russian side intends to discuss this incident with the Turkish side as a guarantor of adherence to the cessation of hostilities by the armed opposition in Idlib de-escalation zone," Konashenkov said. On Saturday, militants from terrorist groups fired chlorine-filled shells at neighborhoods of al-Khalidiye and Al Zahraa as well as the Nile Street. Dozens were reportedly hospitalized with asphyxiation and other symptoms typical for poisoning. The governor of the Syrian province of Aleppo, Hussein Diyab told local media that this incident is an obvious confirmation of the possession of chemical weapons by terrorists. 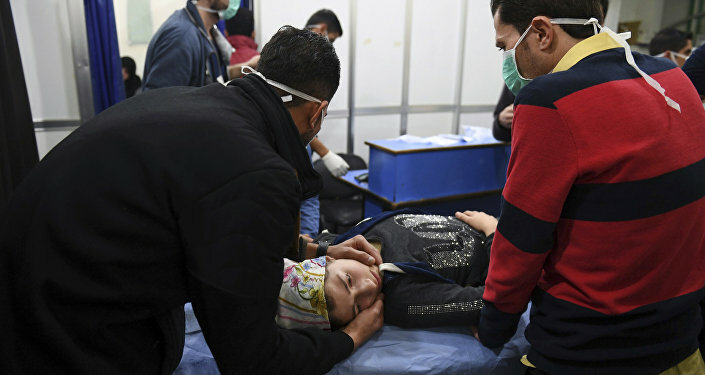 Russian Defense Ministry spokesman told reporters on Sunday that a special army team arrived in Aleppo to "work with the injured taken to medical institutions, monitor the situation in the area where the militants used poisonous substances." On Thursday, the Russian Foreign Ministry said that difficulties in establishment of a demilitarized zone in Idlib remained. On September 17, Russian President Vladimir Putin and his Turkish counterpart Recep Tayyip Erdogan agreed at talks in the Russian resort city of Sochi to set up a demilitarized zone in Idlib along the contact line of the armed opposition and the government forces.